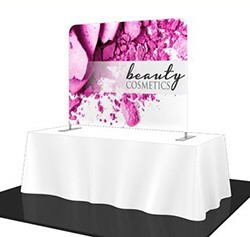 Make the most out of your table booth by adding a mini, retractable banner or backwall. 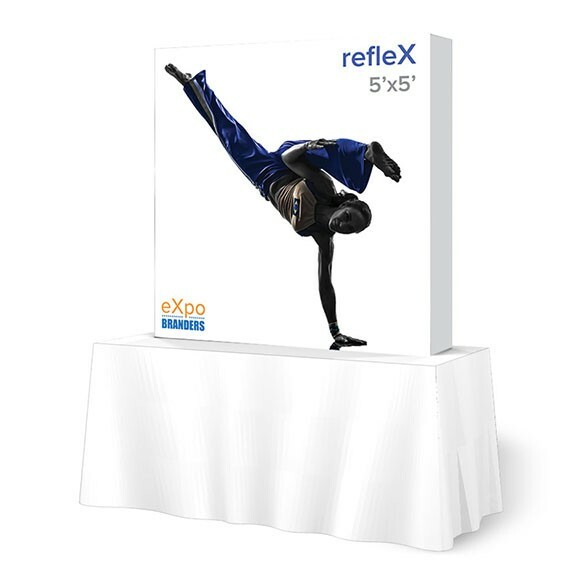 All of our table top trade show displays are compact and lightweight, with plenty of options to complement your marketing message. 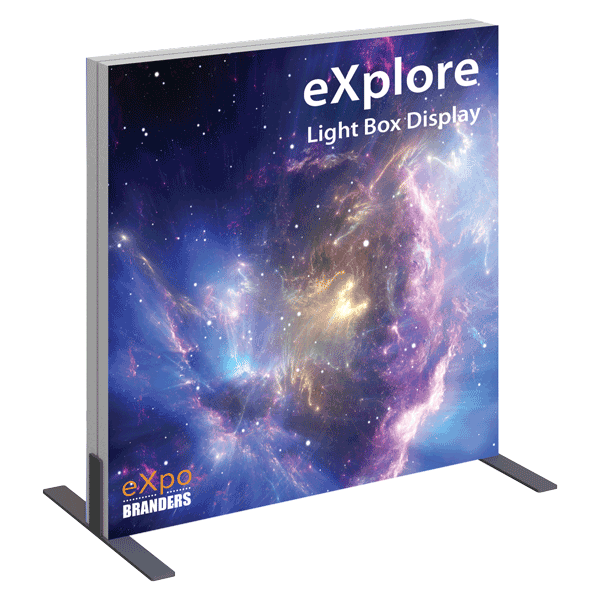 These portable banners are a great way to maximize space while vividly marketing your brand. 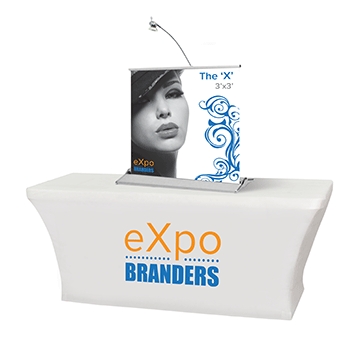 These mini table top banners are small and easy to transport because the graphic pulls in and out of the base. Our tension fabric slips over the hardware like a pillowcase and also reduces glare. These banners have end caps to make them look smooth and professional. These LED illuminated, push-fit graphic table top displays will give your display extra edge. What is the difference between dye sublimation and imprint? The term “imprint” typically refers to screen printing or heat transfer imprinting. Dye Sublimation is a process of transferring color to an item, usually fabric, that allows for an all over “print” on that piece. Tension fabric is a type of display, typically using a plastic or metal frame and a stretchy fabric graphic. The “tension” that the frame puts on the fabric, stretches it out to a nice smooth, wrinkle free finish.